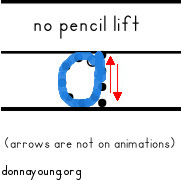 The site index will always be unfinished as long as I am adding to donnayoung.org. The thing is remembering to update the site index. This particular site index will serve as a general index for the larger sections of this website and a detailed index for the smaller sections. The larger sections will be split off into a different index page and they will be linked above in the 3rd row of the menu. 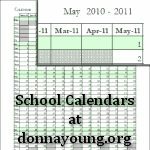 So far I have a more detailed site index for Art and the large Homeschool Planner section. Handwriting is quite large and someday, I hope to make a site index for it. This page updated by Donna Young on April 22, 2012. What's New At DonnaYoung.org (links to more recent "What's New" pages are removed because those pages are broken. Homeschool Lesson Plan Forms The forms for planning lessons and the different types. The most versatile planners are Columns. Homeschool Planner Sets - Coordinated Homeschool Planners that includes most of the files the a homeschool planner needs. The most complete planner is Garamond. A coordinated homeschool planner that includes household planner files is Colonial Planner. FAQS About DonnaYoung.org This page is not updated much at all, very little here.